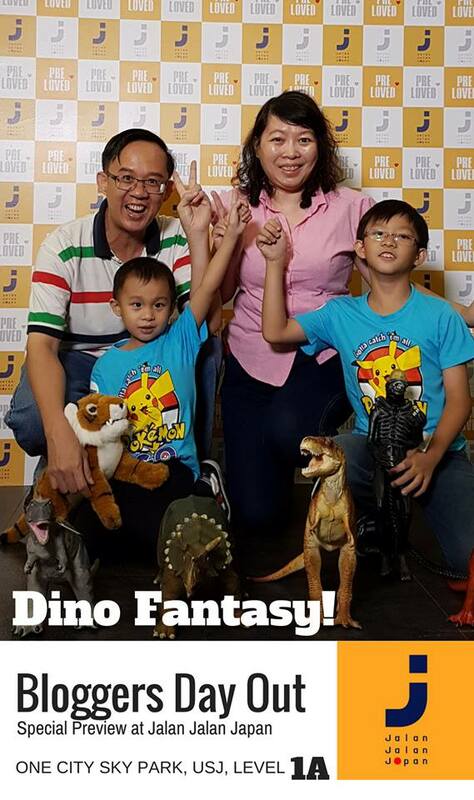 Mommy Jane and Little Angels were invited to join the pre-launch of Jalan Jalan Japan which located at One City Mall. 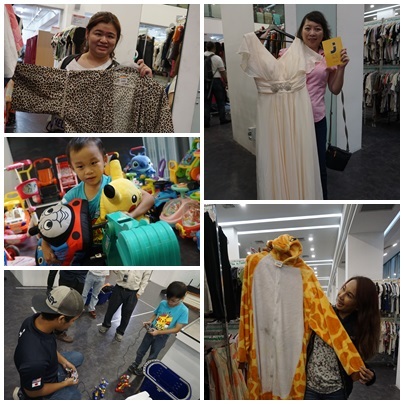 Mommy Jane and around 19 bloggers had a fun shopping for the Japanese preloved items which will be launch on this Friday, 18 November 2016. Mommy Jane would like to wish "Irrashaimase" or "Selamat Datang" to all the Japanese preloved items to Malaysia. All of us knew that Japan is a rich nation where Japanese are able to earn high income but due to lack of personal storage space, they need to sell fairly new stuff at "Preloved" stores. They live in small living space as compare to Malaysians. In the early 90's, Japanese had started a recycle trend. The pioneer of this trend was first created by Bookoff Corporation and now it had grown to more than 800 outlets in Japan and overseas. Jalan Jalan Japan is established by Bok Marketing Sdn Bhd. The joint-venture of Bookoff Corporation Limited, Koike Malaysia Sdn Bhd and Koike Corporation Limited. Japanese put a premium on quality and they have great respect for things that they own. They believe that the world can be a better place if the products they own can be loved by others too. The Preloved concept has become an integral part of Japanese culture. Young Japanese sell their clothings are not because of money but to make way for new clothes coming into their wardrobe. With limited storage, they will change their wardrobe once and for the fashion conscious, twice a season. That makes for lots of Preloved. Getting a bargain is a deep part of human nature. 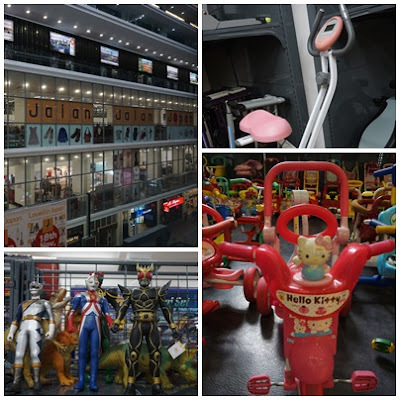 Malaysians can get a taste of contemporary shopping excitement at Jalan Jalan Japan. It holds immense shopping excitement and fantastic savings for homemakers. No matter what's your budget, you'll always get more at Jalan Jalan Japan. Jalan Jalan is a popular Malay term for "going for a walk" to no particular destination. The name Jalan Jalan Japan invites people to come to the store for a walk and for a look-see experience. You will able to hear soothing Japanese ambient music too. From books to cars, Japanese "Preloved" goods tend to be in good condition and trust me, some like new. See the photos to believe it. Prices range from RM2, I'm sure you'll get something here at a bargain price. Up to 97% of Japanese recognise Bookoff's name and over 100 million transactions annually has been recorded. Bookoff first started trading only in "Preloved" books but now had expanded into a wide variety of popular goods that include CDs, DVDs, video games, apparels, children goods, toys, household items, sports equipment, musical instruments, designer's bags and watches. 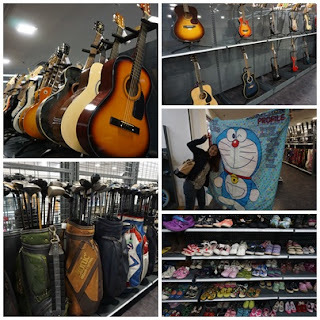 They constitute one of the world's largest collections of "Preloved" goods. There is something for everyone. 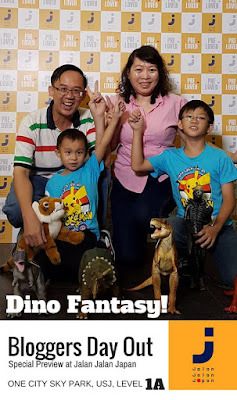 At the photo above, Sherry holding the blouse that cost RM20, WJ holding softs toys that priced at RM10 each, WT playing the battery operated control Robots at RM50, Me holding an elegant dinner dress at RM40 and another blogger friend holding a giraffe costume at RM10. Damn cheap and it looks like a new one too. Mark your date now, on this Friday, 18 November 2016, Jalan Jalan Japan will have its grand opening for the public to shop for the Japanese Preloved items. Only 1 item available for each product. So, if you see it and love it, grab it now before someone else grab it away. Jalan Jalan Japan is located at Level 1A, One City Sky Park, USJ. Their opening hours are from 10.00 a.m. to 10 p.m. For more information, do visit their facebook page at www.facebook.com/JalanJalanJapan.Malaysia. 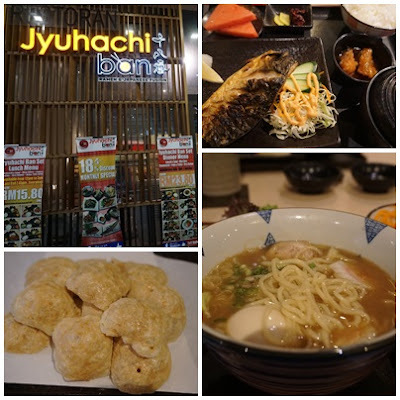 Once you had jalan-jalan for your shopping and need to fill up your tummy, then do try out Japanese food, Jyuhachi Ban. The Boss for this restaurant is the same with Jalan Jalan Japan outlet. They served nice cheese cake, udon noodles and Mackerel fish set. Every like at the restaurant's facebook, you can claim for an ice cream. great place to shop for preloved! yeah shall go back to hunt again! It was indeed a fun shopping experience! There are so many more and I wanna visit it again this weekend! Rane, l'm going too. See you there. Zuan, l love it too. Everything looks new and l want more of it. a new place to shop and not burn a hole in pocket! Bowie, you shld go there and shop yourself and l'm sure you could grab a lot with min spending. I'd really love to go and check this out. I love to window shop. As for real shopping, I am OK with certain things that are preloved. Emily, me too. As long as it is usable, l don't mind too. Sebrinah, good decision. Sure u able to grab lots of things there since their opening is on tomorrow. Bearhy, remember to upload photo when you're there and hashtag #Mommyjane to win a prize from me ya. Good luck. Eunice, I love it too. At least we can save more from here. Apple, enjoy your shopping here.